Conventional wisdom (dating back to the 1940s) has long been that giving testosterone supplements to men who had been treated for prostate cancer is a really bad idea. This conventional wisdom has been under challenge for many years, and we no appear to have data that — hardly for the first time — demonstrates the fallacies of conventional wisdom that has no good data to support it. Data from a study presented by Towe, a clinical research fellow at the Univerity of California, Irvine, at the recent annual meeting of the European Association for Urology (EAU) in Barcelona, Spain, has offered us a very different perspective. According to a report on the Medscape Oncology web site, Towe and his colleagues collected data on 824 patients who were given a robot-assisted laproscopic prostatectomy (RALP) as first-line treatment for localized prostate cancer. Of these 824 patients, 152 (18.4%) had low levels of free testosterone at the time of surgery, and they were given testosterone replacement therapy TRT) to assist them with postoperative recovery of sexual function. This group of hypogonadal patients had significantly fewer biochemical recurrences within 1 year of surgery than the other 672 patients. TRT use was associated with longer time to recurrence and delayed disease progression compared with standard management. The whole thing actually started because, of the men that I was seeing, enough of them were not having recovery of sexual function. I did the same operation — why were these guys not doing as well? That’s what prompted me to start measuring total and free testosterone back in 2009 on everybody. Now we do have to understand that what this study shows is that TRT can improve the post-surgical outcomes of men who have a RALP for the first-line treatment of localized prostate cancer and who are hypogonadal (i.e., have a sub-standard free serum testosterone level) prior to their surgery. It does not tell us that all men would benefit from TRT after a radical prostatectomy! What this study also tells us is that there is now a strong rationale for checking the free serum T levels of all men who are scheduled for first-line, surgical treatment of localized prostate cancer. There is still a long way to go as we seek to know who reasonably can and who absolutely can’t be considered as reasonable candidates for TRT after first-line treatment for prostate cancer. Even that might not be such a bad idea if one had decided to follow up the surgery with a short course of radiation and an 18-month course of what is known as bipolar androgen-based therapy or BAT — cycling the patient on and off androgen deprivation therapy (ADT) and serum T supplementation. As far as we know, no one has ever tried such a strategy in a clinical trial to date, and we certainly aren’t recommending it outside a clinical trial, but it is one more example of all the things we still don’t know about the “best” ways to treat specific subsets of patients with prostate cancer. For a patient such as me, who is 13 years into persistent PSA post-surgery and post-RT and ADT, and now on enzalutamide alone (80 mg/day) and with a T of ~900 and PSA of 0.03 and stable: could this higher T (not supraphysical level) extend PSA remission? Not expecting an answer here or frim my oncologist when I see him, but will ask anyway. I don’t think there is a simple answer to that question. It may depend a great deal on the individual patient. 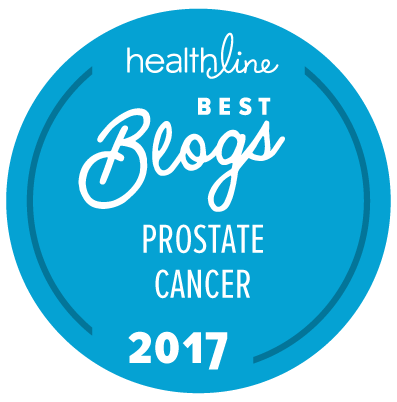 As sitemaster suggested in the article, giving testosterone to a prostate cancer patient is generally not considered a good idea. I recently read this article on the BBC web site about male birth control methods. One of them involves giving the hormone progestin in a gel applied to the skin to block natural testosterone production in the testicles — something I get leuprorelin injections every 12 weeks to do — but at the same time supplying synthetic testosterone in the same gel to overcome the side effects, which would also seem illogical but seems to work well in reducing the side effects (see also this link). Previous reports on The Prostate Cancer InfoLink have also commented on the apparent advantages of cycling leuprorelin on and off without affecting the efficacy of the treatment. Too bad that we know so little about TRT after radiotherapy and ADT. I am in that group and have had low T for about 5 years. I think it’s about 35% towards the lower reference value used in Uppsala. The fatigue is grueling. No fun at all. Naps of 40 minutes maximum relieve it, as does quite moderate exercise. I will not risk TRT, as other articles have little data about high-risk patients like me, with Gleason > 7. So the jury is out, if I understand all this rightly. It’s not worth the risk. My urologist is of this opinion as well.